PRESIDENT'S CORNER. By Norris McDonald. It was a very good year. I traveled to China, Brazil and France. It helped to bolster our operation in Homeland China and we opened an office in Hong Kong. Brazil and France opened new doors for us that we hope to expand upon in 2008. We opened a Midwestern Office based in Evansville, Indiana. Hopefully our feet on the ground will give us standing for implementation of the new energy bill. "Less than 4 percent of the nation's elected officials are black, and 90 percent of them represent predominantly black or predominantly black-and-Hispanic constituencies. Thus, not many black politicians have won elections when the majority of voters were white. Only three black U.S. senators and two black governors have been elected since Reconstruction." Blacks represent 13% of the U.S. population so Senator Obama represents the exception and not the rule in his powerful run for the top political office in the land. Black Americans navigate through a society that challenges them to fully participate while being hostile to their participation. Barack Obama, Jesse Jackson and Al Sharpton, among others, address this paradigm differently. All are relevant and needed. The environmental movement has far less African American participation at the policy professional position level than the American political environment. There might not be one policy professional working for any traditional environmental group at the moment. If you're out there let us know. Thus the need for an AAEA, among others, to give voice to the reality that virtually every American city has a black side of town and a white side of town. Yet, the African American community is as American as apple pie. AAEA calls on President Bush and Congress to repeal the ban on CFC asthma inhalers. As a signatory to the Montreal Protocol, the USA committed to eliminating asthma inhalers that contain chlorofluorocarbons (CFC) as a propellant because it destroys atmospheric ozone. Of course it is estimated that such inhalers only contribute around 1 percent to that loss. AAEA opposes elimination of the CFC inhalers, left, because the replacements, Hydrofluoroalkane (HFA) inhalers, right, do not work as well. The propellant does not provide the same power. The taste is different, they are more expensive and a very small amount of ethanol is added to the new inhalers. Ethanol is grain alcohol (moonshine) and we also burn it in our cars. 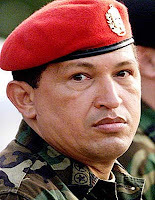 Hugo Chavez hates President Bush and is working very hard to become a dictator in Venezuela. Venezuelans recently rebuffed his referendum to gain even more power. It will not stop him. Young people have already started protesting against the abuses of his governance. White and Black American liberals have embraced Chavez as a sort of hero even in the face of his abuses at home. Former congressman Joe Kennedy gets cheap fuel oil from Chavez through Citgo and Danny Glover, Cornell West, Harry Belafonte and British model Naomi Campbell have met privately with him. Well Kennedy got a $100 million fuel oil deal and apparently the others got nothing but lip service. Par for the energy course. America gets about 13% of its oil from Venezuela. So we have a suggestion for Venezuelan President Hugo Chavez. Sell Citgo to an African American entrepreneur. AAEA can suggest excellent buyers for you. Blacks do not own any energy infrastructure in the United States. The big energy companies simply are not inclined to include African Americans as equity partners. So since it appears that Chavez enjoys goosing America through providing cheaper fuel oil through Joe Kennedy's Citizen's Energy, maybe he would get a bigger kick out of empowering an American minority entrepreneur. Divest now President Chavez. What's good for the goose is good for the gander. PRESIDENT'S CORNER. By Norris McDonald. What does Christmas mean to you? Maybe for an atheist it means the end of the fourth quarter and hopes for our capitalist system to get needed stimulation. Maybe for a pagan it is sorrow for the disturbance of the many Christmas trees. Maybe for the Christian it is the recognition of the birth of Jesus Christ (even though the date is not right). Maybe for the Muslim it is an interesting festival time. Maybe for the Buddhist it is being one with the snowflake or the falling leaf. Maybe for the Hebrew it means still waiting. Maybe for the Hindu it means nothing at all. Ah but for the four year old, it clearly means Santa Claus, Christmas trees and presents. I tease my 15 year old son now about the great entertainment it provided for me to see his excitement about Santa. The milk and cookies gone in the morning that Santa drank and ate. My son (5 yrs old at the time-1997) is sitting on the lap of Walter Tibbs at the Frederick Douglass house in Highland Beach south of Annapolis, Maryland in the upper left picture. He was first in line and asserted his good behavior and belief that he deserved an X-Man action figure. Ah Christmas. Rest, relaxation and a good time for reflection. 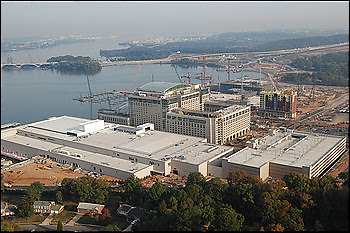 "With an 18-story atrium towering over the banks of the Potomac, Gaylord National Resort and Convention Center is reshaping the skyline of Prince George's County. Now the hotel and meeting place, the largest to be built on the Eastern Seaboard, is set to transform the economic terrain of the county, which has struggled for years to lure major employers. 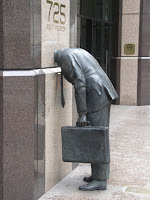 Gaylord posted more than 2,000 jobs on its Web site recently." Prince George's County is the richest majority African American county in the United States and the developers appear to be working in good faith to include minority equity, management participation and employment in this historic project. Although many folk from the majority will groan at describing 'minority participation,' this group is purposely excluded in so many areas (and believe us we know) that it should be publicized when an operation does the right thing. And in that regard, talk to anyone in Prince George's County and they will tell you that project developer Milt Perterson has always tried his best to do the right thing. This county appreciates Mr. Peterson's interest in an area of the region that has been avoided by other developers. Thank you. The FY 2008 Energy and Water Appropriations bill, contained within the FY 2008 Omnibus Appropriations bill (H.R. 2764) continues the Department of Energy’s loan guarantee program for two more years. The bill contains language directing the Secretary of Energy to provide $38.5 billion in loan guarantees, with a specific requirement that $20.5 billion be provided for nuclear energy, ($18.5 billion for nuclear reactors, $2 billion for uranium enrichment), $10 billion for renewable energy and energy efficiency, $8 billion for clean coal technology. It is being projected that new nuclear plants will cost as much as $4 billion and will take at least 7 years to construct. The first six plants are being heavily subsidized by the federal government to assure a renaissance of new nuclear power plant construction. The loan guarantees are a very important component of the federal support. Nuclear companies are forming consortia and aggressively competing with each other for these subsidies. 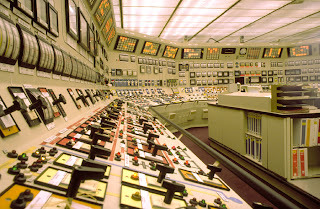 Front end construction and operation success will pave the way for the hundreds of nuclear power plants America needs to provide reliable electricity. Will African Americans have a role in this nuclear renaissance? In a Dec 12, 2007 ruling, Federal District Court Judge Anthony Ishii rejected the auto industry's claim that federal fuel economy standards preempted the authority of California and other states to limit global warming pollution from automobiles. 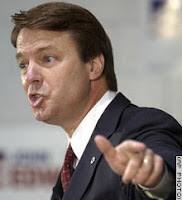 Of course, passage of the Energy Independence and Security Act (H.R. 6) of 2007 on Dec 18, 2007 moved EPA to reject California's waiver request to use fuel economy to reduce carbon dioxide emissions from vehicles to mitigate global warming. On Sept 12, 2007 a federal judge in Vermont ruled that the Environmental Protection Agency (EPA) has an obligation to regulate carbon dioxide under the Clean Air Act. The U.S. Supreme Court ruled on April 2, 2007 in Massachusetts vs Environmental Protection Agency (EPA) that the agency does have the authority to regulate carbon dioxide as a criteria pollutant under the Clean Air Act. More specifically, the court to ruled 5 to 4 that the EPA violated the Clean Air Act by improperly declining to regulate new-vehicle emissions standards to control carbon dioxide, which contributes to global warming. Background: when groups in Massachusetts petitioned the EPA to set standards for greenhouse gas emissions for new vehicles EPA declined in 2003 citing "numerous areas of scientific uncertainty" about the causes and effects of global warming. Massachusetts, along with other states and cities, took the agency to court. The U.S. Supreme Court also unanimously ruled on April 2, 2007 in Environmental Defense vs Duke Energy Corporation that industrial smokestacks and power plants must meet the Clean Air Act's New Source Review program (NSR), which requires that when large industrial facilities, such as power plants, refineries and chemical plants, expand operations and increase air pollution, they must also modernize air pollution controls. The Washington Post published an article, "A Nuclear Site Is Breached," that made it sound like a commercial nuclear power plant in Africa was successfully breached by attackers. The article should have distinguished between a commercial nuclear power plant (only one on the continent of Africa) and a nuclear research facility. The distinction is very important because the article referred to "a site where hundreds of kilograms of weapons-grade uranium are stored." Such uranium is not at any commercial nuclear power plants. The attack at the research center was not successful and would have completely failed at any highly secured commercial nuclear power plant. AAEA would like to see many more nuclear power plants constructed in many different African countries and confusing articles will not make the job any easier. The article should have taken the time to distinguish between Pelindaba Nuclear Research Center, left, where the attack occurred, and Koeberg Nuclear Power Station, right, which is the commercial nuclear power plant and the only one on the entire continent. Pelindaba is a research facility and Koeberg is a commercial nuclear power plant. The Pelindaba Center is located at Pelindaba near Hartbeespoort Dam approximately 30-35 km West of Pretoria( Northern South Africa inland). Koeberg is approximately 30km northwest of Cape Town, close to Melkbosstrand (Southern South Africa on the coast). The article described a 'successful' attack that posed a danger for constructing a dirty bomb. Hopefully, such reporting in the future will provide distinguishing descriptions of the facilites so that the public will not be unnecessarily frightened and prejudiced against this beneficial technology. 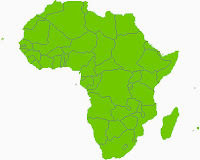 With public acceptance African countries could prosper from the benefits of nuclear power and mitigate the problems of global warming and climate change. On the same day that President Bush signed the energy bill (H.R. 6), EPA Administrator Stephen Johnson, right, denied California's request to limit its own global warming gases from cars and trucks. Johnson concluded that the new energy law obviates the need for the equivalent of fuel economy standards in California because it requires a comparable 35 mpg nationwide requirement. We agree with President Bush and EPA on this issue. A nationwide fuel economy standard is much better than a patchwork of standards by each state patterned after the California law (A.B. 1493) and the Northeastern states (Regional Greenhouse Gas Initiative-RGGI). The House passed the final version of the Energy Independence and Security Act of 2007 today (Dec 18) by a vote of 314 to 100. The Senate passed the revised energy bill 86 to 8 on Dec 13. It now goes to the president for his signature. President Bush will sign his second energy bill (H.R. 6) and will thus lead America into a new age of automobile efficiency. Raising vehicle fuel economy standards is a great achievement that eluded other presidents and congresses since the passage of the original mileage law (Energy Policy Conservation Act of 1975). President Bush signed his first energy bill, the Energy Policy Act of 2005, in Albuquerque, New Mexico. AAEA atttended the signing of that historic legislation. Key provisions of the bill include: Autobile fuel efficiency stardard of 35 miles a gallon by 2020, Renewable fuel ethanol use increased to 36 billion gallons a year by 2022, Green Jobs training for 35,000 people every year, Increases the efficiency of buildings and appliances and eliminates incandescent light bulbs by 2015, among others. The new law also goes far in helping to fulfill the goals of the California global warming law and the Regional Greenhouse Gas Iniative (RGGI) of the Northern states. 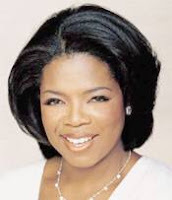 According to numerous published reports anti-nuclear protesters planned to disrupt presidential candidate Barack Obama's rally with Oprah Winfrey in Columbia, S.C., on Dec. 9. The activists hoped to draw attention to recent statements Obama made in support of nuclear power, including a comment favoring Global Nuclear Energy Partnership (GNEP). AAEA supports the GNEP. Evidently the demonstrators were relegated to a "free speech" holding area several blocks from the venue where Obama and TV personality Oprah Winfrey appeared. They urged colleagues to investigate how much money Obama is receiving from companies in the nuclear energy industry and to start a letter-writing campaign to Winfrey demanding that she take a stance against GNEP and for free speech. These extremists were dealt with appropriately by the rally organizers. It is our opinion that these eco-extremists go out of their way to show extraordinary disrespect to African Americans who do not agree with them. AAEA experienced such disrespect last summer from some eco-hillbilly extremists. Note that they have not targeted Chris Dodd (D-Conn) or any of the Republican presidential candidates, all of whom support nuclear power. Senator Obama and Ms. Winfrey should aggressively engage them because these eco-extremists see them as targets to be particularly disrespected and to use for their own publicity purposes. AAEA is pronuclear and would be more than happy to provide a counterpoint to these extremists. The Bush administration won the battle between establishing an arbitrary 25% reduction or relying on technology to reduce greenhouse gas emissions at the recent climate change conference in Bali, Indonesia. This conference is the beginning of the second stage of global climate talks to extend climate change programs from the Kyoto Protocol, which ends in 2012. Signatories to the protocol will not achieve their current emissions reductions targets by the deadline so it would appear that establishing even more stringent targets would be continuing a failed program. AAEA supports the technological approach over the hard target approach. 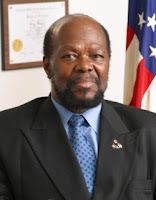 Roy Innis is national chairman of the New York-based Congress of Racial Equality (CORE), one of America’s oldest civil rights organizations. 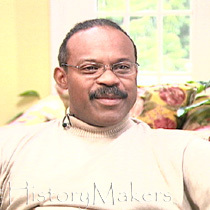 This excerpt comes from his testimony before the U.S. House of Representatives in December 2007. We often hear that “clean, free, inexhaustible” renewable energy can replace the “dirty” fossil fuels that sustain our economy. A healthy dose of energy reality is needed. Fully 85% of America’s total energy comes from fossil fuels. Over half of its electricity comes from coal. Gas and nuclear generate 36% of its electricity. American consumers simply cannot afford to halt the construction of new coal-fired power plants, though some politicians, activists and even companies are trying to do exactly that. Power plants fueled by coal are far less polluting than 30 years ago. Just since 1998, their annual sulfur dioxide and nitrogen oxide emissions have declined another 28% and 43% respectively. We need every energy resource: oil, gas, coal, hydroelectric, nuclear – and wind, solar, geothermal and biomass. We cannot replace 52% of our electricity (the coal-based portion) with technologies that currently provide only 1% of that power (mainly wind). Rodney Hunt, right, just sold his RS Information Systems (RSIS) to Wyle, a Southern California aerospace engineering company, for a hefty sum. RSIS provides information technology, systems engineering, scientific support and management consulting. RSIS had more than $300 million in annual revenues and recently partnered to win a $1 billion contract with the U.S. Department of Energy. Our guess is Wyle wrote him a $100 million check. Hunt is 75% owner of RSIS. Don't you need a tax deduction Mr. Hunt? Al Gore is on the move again. This time he is in Oslo, Norway to pick up his Nobel Peace Prize for his global warming work. Then during the second week of the Bali Climate Change conference, he will leave Europe to speak at the post Kyoto gathering. We just wish he would get his carbon dioxide offsets from us. 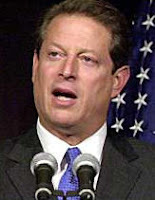 Former Vice President Gore has now published a book, produced an Academy Award winning documentary, produced a worldwide Live Earth concert event, won the Nobel Peace Prize and having done all of this has become the global warming guru he refused to be while second in command during his White House years. "My Administration’s climate change policy is science-based, encourages research breakthroughs that lead to technology development, encourages global participation, and pursues actions that will help ensure continued economic growth and prosperity for our citizens and for people throughout the world. Since 2001, we have spent almost $37 billion on climate science, technology development, and incentives and international assistance. Recently, we convened representatives of the world’s major economies – the largest users of energy and largest producers of greenhouse gas emissions, from both developed and developing nations – to discuss a new international approach on energy security and climate change. Our aim is to agree on a detailed contribution for a new global framework in 2008 that would contribute to a global agreement under the United Nations Framework Convention on Climate Change by 2009. The United States looks forward to working with partners to reach consensus on a “Bali Roadmap” at the upcoming UN meeting on climate change in Indonesia in December." "Addressing global warming is one of the great moral tests of our generation, and it's time for bold action and leadership to address this crisis that threatens the globe. While I'm glad to see that global warming legislation is finally moving in the Senate, unfortunately the Lieberman-Warner bill doesn't go far enough to address the crisis of global warming. We cannot be limited in our approach by the armies of lobbyists from big oil companies and other special interests. This bill gives away pollution permits to industry for free - a massive corporate windfall - instead of doing what is right and selling them so that we can use these resources to invest in clean energy research, create a new economy of green jobs, and help regular families and business go green." By Norris McDonald. 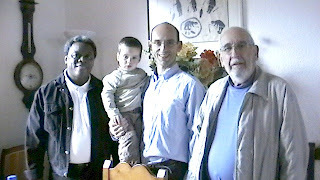 I recently traveled to France and met with Dr. Bruno Comby, the Godfather of environmentalists for nuclear power. 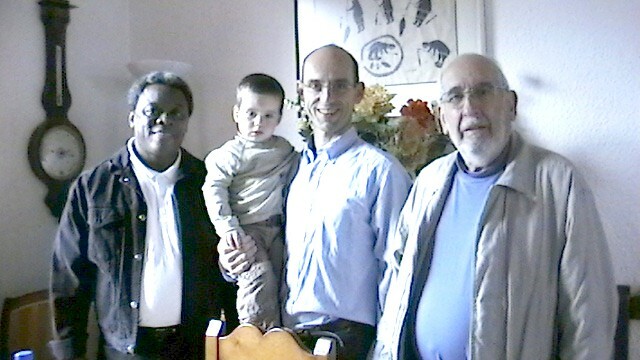 Dr. Comby lives just outside of Paris and he is pictured at right holding his son. Bruno is the real deal, just like the Marlon Brando character, except he is a nuclear physicist. 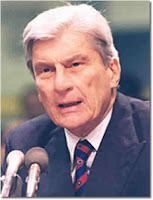 He is also the first environmentalist to publicly support nuclear power (1996). 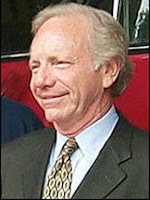 I have also noticed that some other 'prominent' environmentalist nuclear power supporters rarely to never mention him. We had a great chuckle about that after I told him about me getting the same treatment as the first American environmentalist to publicly support nuclear power. A new 'newspaper-delivered consumer automotive magazine,' with the slogan, "Why Can't We All Just Buckle Up?" is targeting Blacks. "African Americans On Wheels" is published by On Wheels, Inc, which is a multicultural multimedia company that also publishes Asians On Wheels and Latinos On Wheels magazines. The mag mostly advertises V-8 SUVs. Maybe AAEA can get them interested in covering energy legislation, particularly the 36 mpg requirement pending in current legislation. Hopefully they will also give some coverage to the potential of plug-in fuel cell hybrid electric to revolutionize transport. AAEA President Norris McDonald traveled to France to tour a nuclear fuel reprocessing facility, meet with a member of the French congress and tour a nuclear power plant. The fact finding trip was from November 24-29, 2007 and included a ride on France's bullet train. McDonald toured the La Hague nuclear fuel reprocessing facility near Normandy. He was briefed by Assemblyman Claude Birraux, a member of the National Assembly of France and the Chairman of the Parliamentary Office for Evaluation of Scientific and Technological Options. 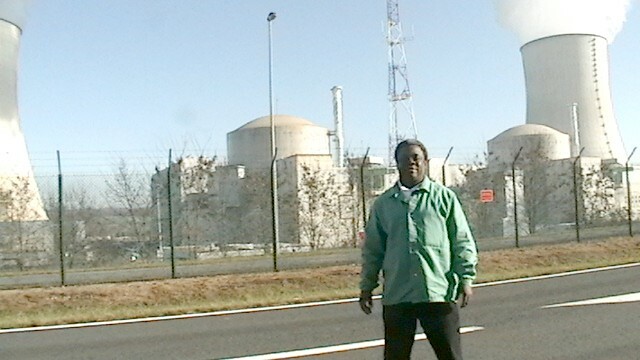 McDonald toured the Civaux nuclear power plant, France's newest. He is pictured above standing in front of this clean, safe, state-of-the-art emission free electricity producing facility. Former Prince George's County Executive and lawyer Wayne Curry, right, is taking the lead on a class action lawsuit brought by an upscale Anne Arundel County community over water contamination. The suit is from residents of Gambrills and Crofton and is against Constellation Energy Group, which buried 4.5 million tons of toxic fly ash on an 80-acre site without warning homeowners. The local groundwater is now contaminated with arsenic and other metals and was a source of drinking water for some of the community residents. "The post-environmental movement took off in late 2004, when Nordhaus and Michael Shellenberger, green movement veterans, published an essay called The Death of Environmentalism. In the essay they argued that the traditional environmental approach — identify a pollutant, mobilize public opinion, pass a law to stop it — was inadequate for dealing with global warming. For starters, there's no one polluter to target. We're all sinners. " Really? That is news to us and we have been working in the environmental movement for 28 years. Admittedly they shook up the Sierra Club and some other traditional environmentalist groups. But we knew those mainstream groups had lost their way at least a decade before Vanderkam's Nordhaus/Shellenberger revelation. We agree with Vanderkam that, "Americans don't like to limit ourselves, period. If fighting global warming requires sitting in the dark, we'll never do it." AAEA has long stated that Blacks want to participate in aggressive capitalism 'before' we are asked to conserve. America's Black community IS China and India when it comes to global warming and other energy issues. Yet we believe technology CAN mitigate environmental degradation while aggressively pursuing capitalism. We also agree with Nordhaus/Shellenberger for proposing a $300 billion investment in a technology solution-based approach in this new economy. African Americans want to be right in the middle of this energy renaissance. Unfortunately, some are still dodging our participation. AAEA testified at the Cape Wind Project in 2004 and three years later the project is still in jeopardy. The project developers told us at that time they could hold out maybe 2 more years. Well it has been 3 years and they are still fighting for a project that should have been a cake walk. We have lost our backbone in America and cannot even develop wind projects that many once touted as the perfect energy technologies to satisfy our energy needs. Massachusetts is hurting America's 'can do' image by allowing NIMBY elitists to slow or stop this valuable project.